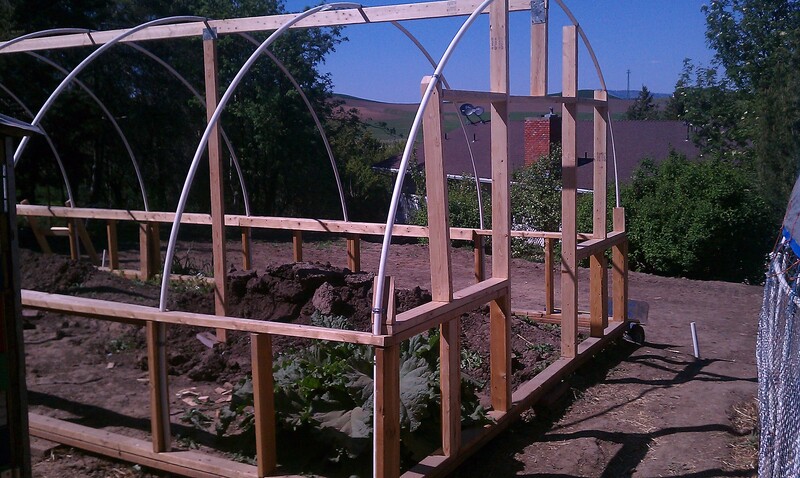 Recently I was tasked with putting up a hoop house for tomatoes and peppers. 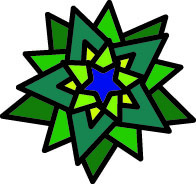 I had no idea what an exciting, challenging, and rewarding experience it would turn out to be. I first had to put up the frame work. Cutting various sized construction lumber to different shapes, sizes, angles, and measurements. Putting them all together to build a sturdy structure that would last for years to come. It was constant game of measure twice, cut once and try to not waste any pieces. 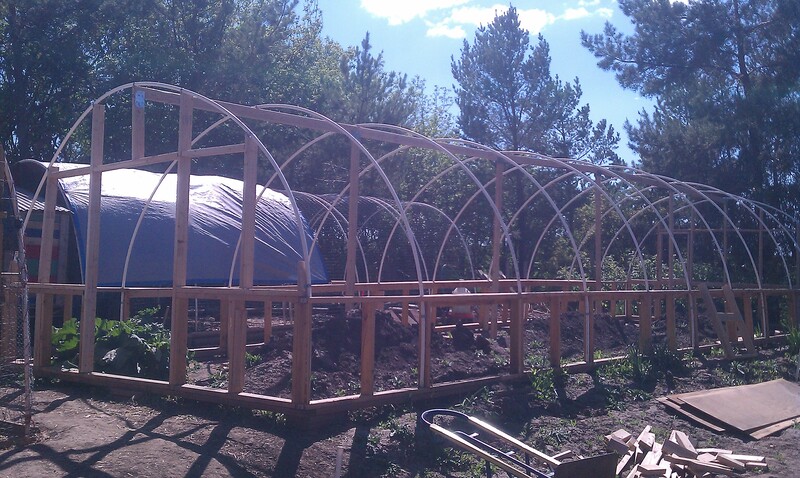 I then put up the PVC tubes to shape the roof. As I put in the brackets to hold the pipe to the wood, I was again reminded about how each step is crucial to the overall structure and functionality of the hoop house. 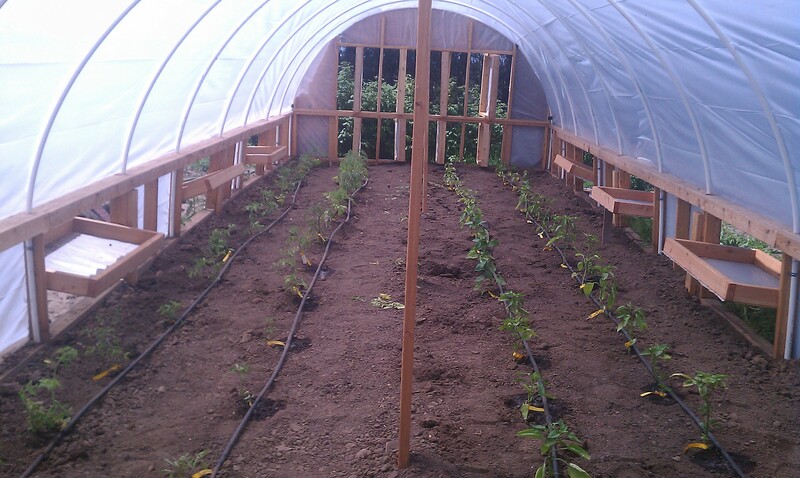 As I put the finishing touches on the hoop house, I checked the quality of the work here and there. Shaking a support beam to test in case of a heavy storm, poking connection joints to ensure they were secure. A wave of pride washed over me as I noticed that my structure was solid. I imagined it surrounded by snow and being blown around like a pin ball in the vigorous Palouse winds. The fun part had only just begun. The next step was to prepare the soil underneath for my tomatoes and peppers. Till, level, till till, level, till the edges, spread the compost, spread garden soil, till, level. The process of carving out the soil to suit the plants seemed like painting a masterpiece…with actual dirt. 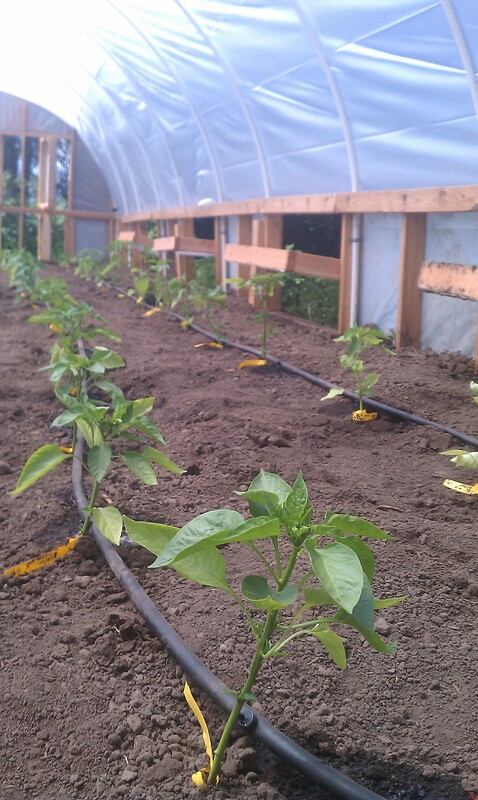 I could barely contain myself as I laid out the drip line, imagining each little plant in its place. After doing so, I turned on the water to make sure that each planting area was going to get adequate water. Then, the plants! We had over 10 different varieties of tomato plants and a plethora of pepper varieties as well. Instead of localizing one variety in the new hoop house, thus banishing the rest to the field, I decided to build a display case of tomato and pepper species. 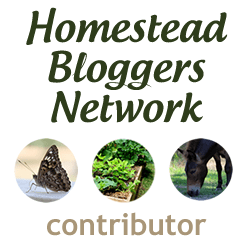 As I tucked the little guys into their new digs, two dichotomous thoughts came to me. The first was of the future. I imaged my tomatoes touching the top of the hoop house and my peppers throwing numerous large fruits out of their small stalks. The second was of the past. 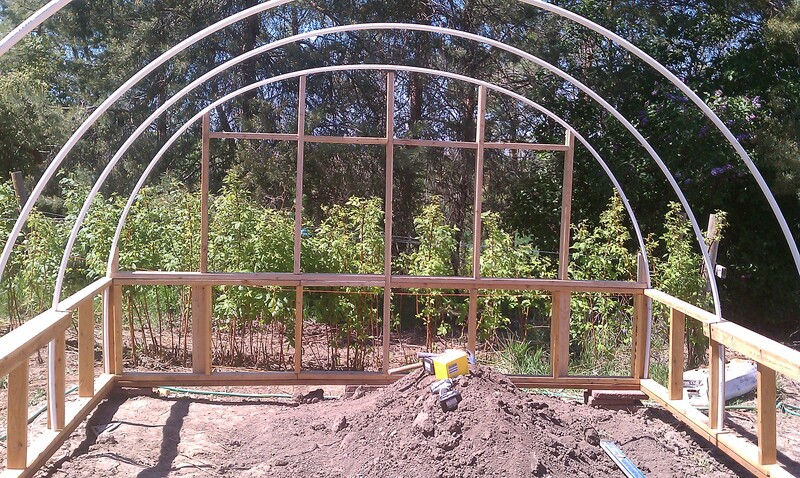 I reflected on how precise I had to make every cut and connection to build the hoop house. Each time I put in a piece to the puzzle, my plant’s shelter was being born. The whole project gave me a sense of completion, solitude, and pride. I already can’t wait to start my next project.